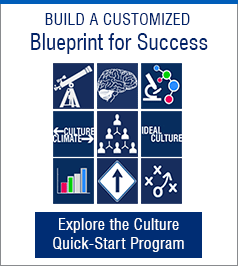 HR has always appeared to be the natural home for the mechanics of leading culture change. In recent years, however, I’ve observed another human resource in the executive team. A person whose influence over culture is potentially the most powerful of all: The Chief Financial Officer. At Walking the Talk, we focus our culture advisory and executive coaching work more closely on the role that each leader plays, rather than the more traditional link to their leadership style, strengths, and weaknesses. This work has further reinforced our belief in the importance of the CFO’s role—and indeed the whole finance function—in sponsoring and leading culture change. After all, the finance function is responsible for the money. And as we have learned, the way in which an organization uses its most finite resources (money and time) will send powerful signals about what it truly values. It follows then, that if the money agenda changes, the culture will most likely change as a result. All leaders have three opportunities to influence culture and therefore performance. The first is through their own behavior. Leaders must ask themselves, “Am I role-modeling the behaviors I seek to embed and are my decisions symbolic of this change?” We refer to this as the “I” dimension. The second opportunity involves encouraging those behaviors in others and discouraging behavior that is not aligned. We refer to this as the “WE” dimension. And thirdly, an executive must analyze whether the systems and processes they control or influence will cause the desired behavior in others. This is called the “IT” dimension. Let’s apply these three to the CFO and her or his finance team, imagining that the culture goal in this instance is to build a more externally-oriented organization. How can Finance encourage more external-orientation? They control the agenda of business reviews. What if those reviews focussed on market share data rather than profit? Surely different conversations would follow, along with different behavior. Then imagine if Finance asked for every business case submitted for investment decisions to include evidence to demonstrate its impact on customers. It would certainly engender different thinking and calculations. What if the organization is too risk averse and wants to encourage leaders to better understand their market, and be prepared to stand up, be accountable and back their judgment by investing in new ways to satisfy the customer? Who better placed than the Finance team to help those leaders mitigate the risks and be prepared to back their own judgment? The Finance partner is best placed to encourage this through the way they coach business leaders to prepare their budgets. Finance controls many of the key processes through which the business is managed: the budgeting process, capital allocation, and the business performance review process. If the goal is a more externally-oriented organization, then how can each of these be redesigned to encourage the desired behavior across the organization? A savvy CFO will figure out how to do this, and, having changed the process, will then notice how performance goes up because people are focussing on the right things in the right way. For example, in the monthly business review dashboard, Finance can include metrics which reinforce the target culture, such as Net Promoter Scores, or the number of new customers acquired. Finance can change the budgeting process to encourage more empowerment or more cross-business collaboration. Just insisting that product and customer people review each other’s targets to encourage alignment will change behavior. This same thinking can be applied to any culture goal: more collaboration, openness, and accountability; or a higher degree of innovation. In each case, the Finance function plays a unique and pivotal role. How do we need people to behave to deliver better performance? This item defines the key culture goal and behaviors. What kind of quantum performance improvement is possible? A 10% profit upswing? Or 20%? How can I, as a finance person, cause those behaviors to become more prevalent in the organization? Most of us expect Human Resources to be advocates of building the right culture. But when the CFO lends their ear and weight to a culture change initiative, the whole process accelerates exponentially. Which begs the question: can any of us afford to leave Finance out of the culture change equation? How does the way that money is controlled, allocated, counted, influence the culture you have today? How well does your CFO understand the link between culture and performance, and what can you do to better demonstrate that link? What is the one process, controlled by Finance, that, if changed, would change the culture? Carolyn Taylor is the founder and CEO of Walking the Talk and one of the world’s foremost experts in corporate culture. Her pioneering work in this field stretches over 25 years and every continent. During which time, she has been a tireless advocate for the recognition of culture as a key driver of performance. She is well regarded in the international business community for her provocative facilitation skills, her sound advice on culture and teams, and her inspiring public speaking. Walking the Talk is a specialist culture change consultancy, operating globally and offering pragmatic methodology and easy-to-use tools to build internal capability to manage and lead culture. Walking the Talk’s methodologies were first introduced in Carolyn’s seminal book ‘Walking the Talk: Building a Culture for Success’ (Random House) which is considered to be the most practical guide to changing a culture on the market.